Most of the people who work here feel like they want to belong to something bigger than themselves, and they want to do work that makes a difference. 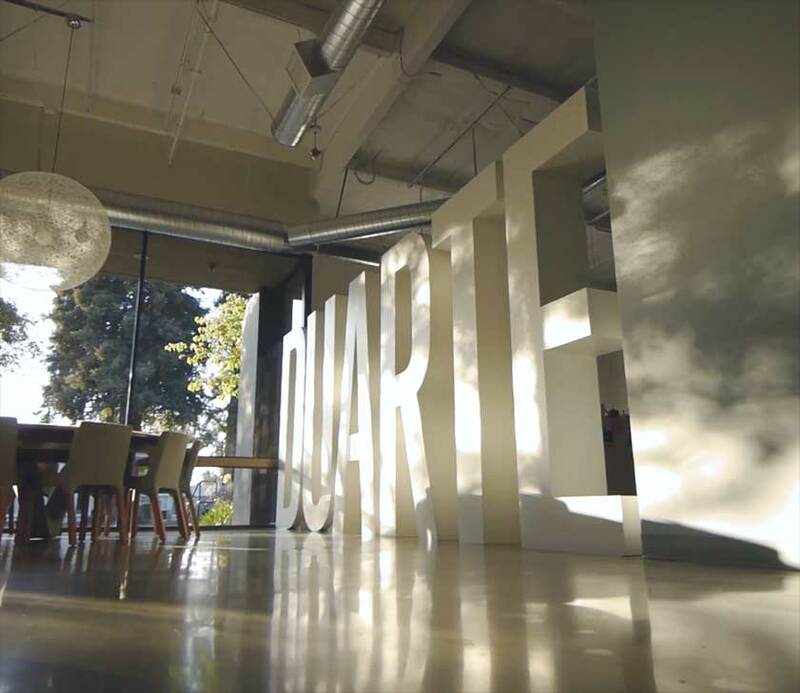 Duartians are humble, creative, innovative, collaborative, client-centric, wicked smart, and fun to be around. Many hang up their hats here for, like, a long time. Mark and Nancy founded Duarte in 1988. At first, our small shop offered a variety of services, but over the past three decades, it’s become more specialized. We’ve thrived because we’ve consistently done the hard work of reinventing ourselves. Mark and Nancy understand that change is the only constant. They set the course for the entire Duarte team—keeping us open to transformation, open to valuing each other because of our differences, and making sure that our work helps us thrive. Get to know more about Mark and Nancy in the video below. Creativity usually happens away from the computer. Here, the stories we share, games we play, speakers we host, and donations we give create meaning for us all. Our internal events build strong teamwork, innovate our craft, and give back to the community. It takes a special temperament to work with world leaders and major brands. If you’re smart and talented, yet humble, and you’ve got a work-hard-play-hard attitude, we’d love to work with you. We are constantly searching for creative souls, strategic thinkers, energetic facilitators, detailed organizers, and people passionate about presentations to join la Duarte familia.